Which Is Healthier: White or Brown Eggs? If you are buying eggs in the grocery store, one factor more than any other seems to contribute to the price of these protein powerhouses: color. With very few exceptions, white ones cost less, and brown costs more. The assumption then is that brown eggs must be superior to white, but that could not be further from the truth. 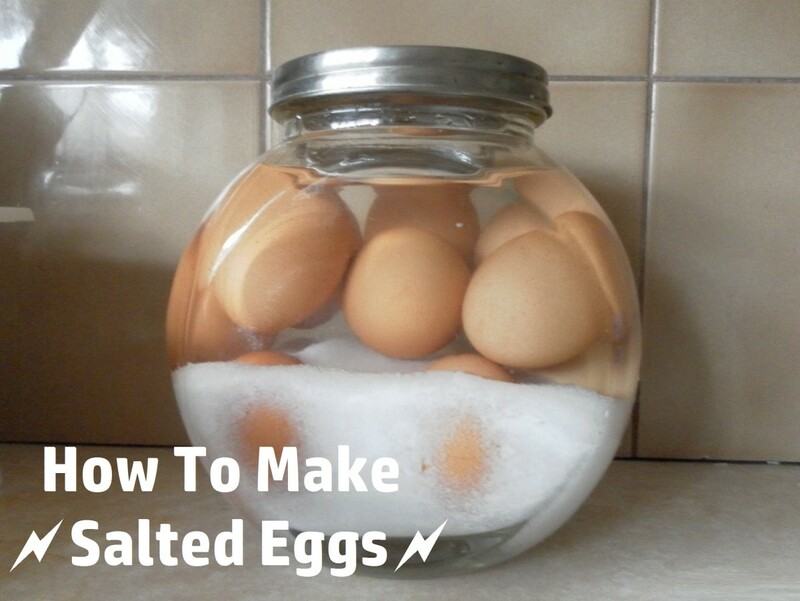 Why Are White Eggs White? So why are eggs different colors? It comes down to the genetics of the hen who laid them. 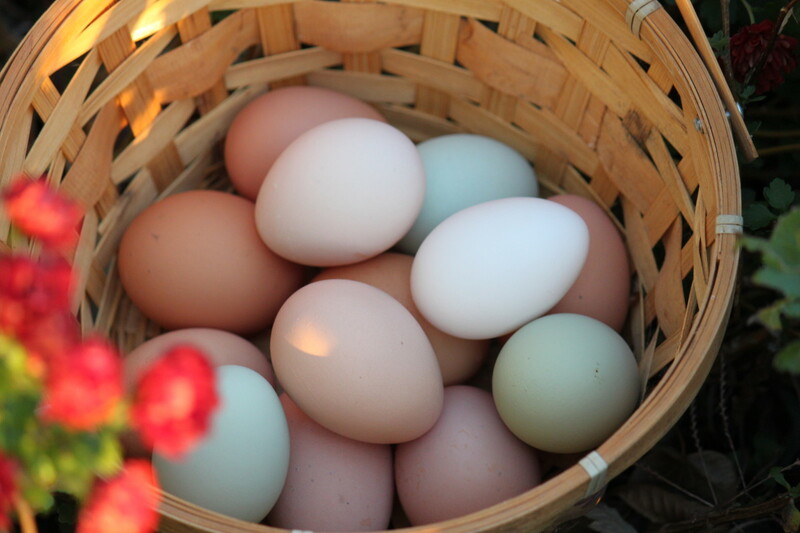 Chickens can lay eggs in a variety of colors, including white, brown, blue, or even green. What color of egg the hen lays depends on the combination of genes she carries, so different breeds of chicken lay different colors of eggs. The reason most eggs in the store are white is because the best breed for egg production--the leghorn--just happens to lay white ones. Leghorns produce the most eggs per pound of feed consumed, making them the preferred choice for farms with a focus on efficiency. Contrary to popular belief, shell color has nothing to do with the color of the hen's feathers. 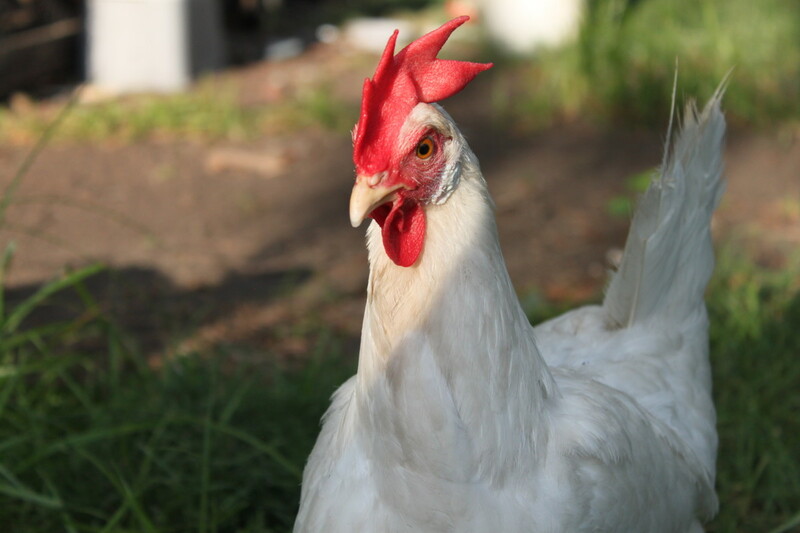 While the white ones in the store are produced by white leghorn hens, leghorns also come in black, red, brown, speckled, and countless other varieties. No matter what color their feathers, their eggs are always white. Likewise, plymouth rocks lay brown eggs, regardless of whether they are white, brown, or adorned with black-and-white stripes. Despite the conventional wisdom to the contrary, brown eggs aren't actually better than white. 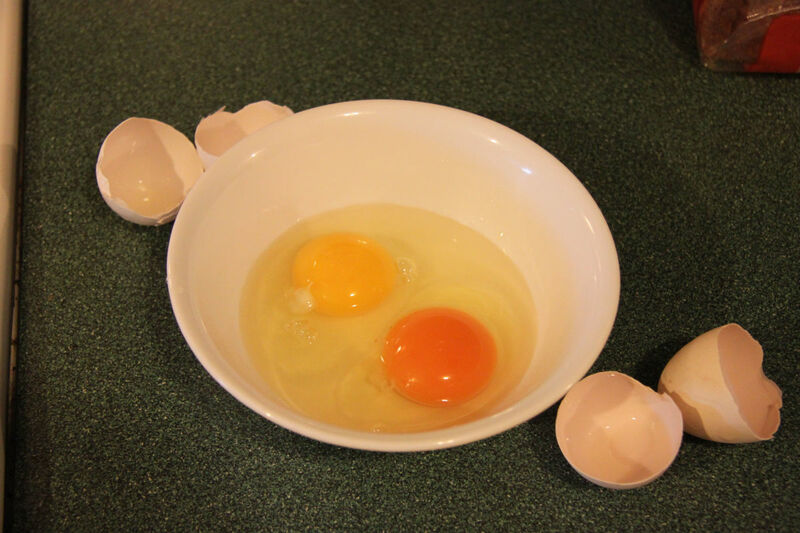 The quality of the egg depends entirely on the hen's health and diet, not on the superficial color of the shell. The reason we associate brown with higher-quality contents has a little bit to do with history, and a lot to do with clever marketing. When factory farms were first starting to take off, they embraced the prolific and efficient white leghorn breed, while small-scale operations continued to favor dual-purpose breeds that more typically lay brown eggs. On factory farms, the hens were crammed into cages and fed meager diets, while on more traditional farms, the hens were able to free range, sunbathe, and engage in other natural behaviors. This directly affected the quality of the eggs, but customers unable to see the living conditions of the birds producing the eggs could only assume that the difference in quality was due to the color. 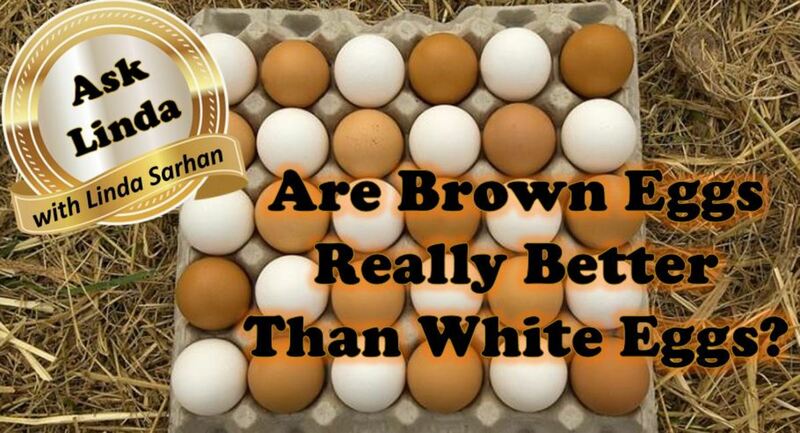 Thus, brown eggs earned a reputation for being of superior quality, while white ones were unfairly disparaged. Had their living situations been reversed, it would be the white eggs that were superior, while the brown ones that faltered. There are very few traditional farms left that produce eggs for sale in grocery stores, but the prejudice towards brown continues thanks to clever marketing tricks. Brown eggs are packaged to make consumers think of open fields and free-roaming hens, when in fact the chickens producing them are kept in the same cramped, sunless coops, and fed the same formulated diet as their white-laying counterparts. What gives eggs their color? 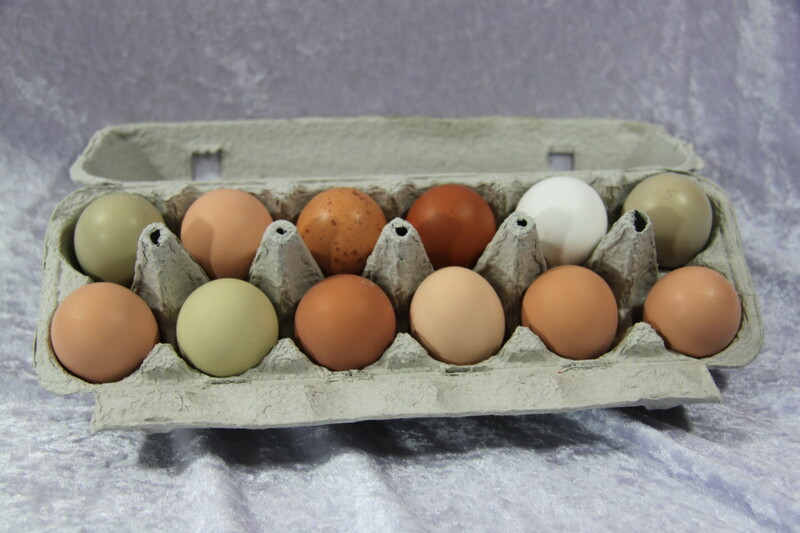 As it was mentioned before, chicken eggs come in a wide variety of colors. They may be white, tinted, any shade of brown from cream to dark chocolate, speckled, blue, or even shades of green. All of these colors and shades depend on the presence or absence of just two forms of pigment: blue and brown. 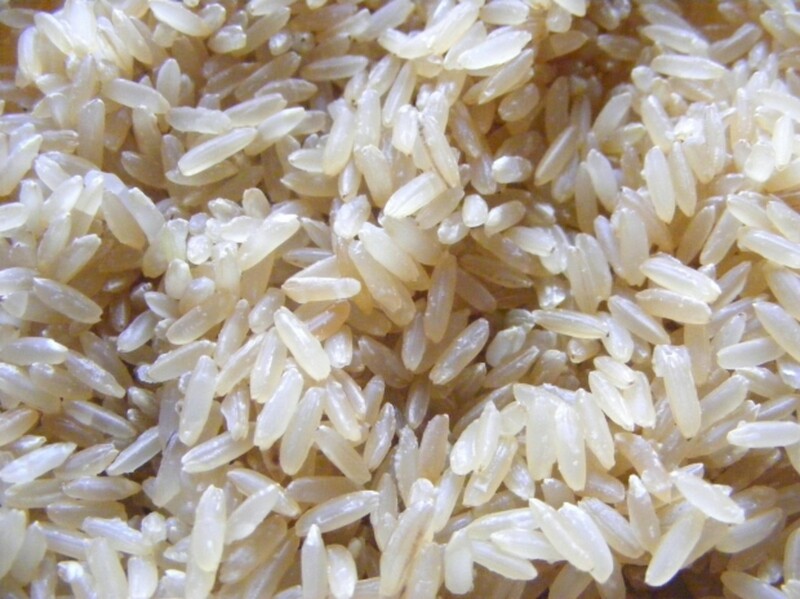 Brown pigment is by far the most common, and is applied by the hen's body after the shell has been formed. The amount of pigment applied affects how dark the shell will be, and with some breeds, the pigment will actually concentrate into artistic splotches or speckles, almost as though it was splattered on with a paint brush. Because the brown coloring is topical, it can sometimes be scrubbed off if the egg is washed with an abrasive surface. Blue pigment is introduced while the shell is still forming, and as a result, is actually a part of the shell itself. As such, it cannot be scrubbed off like brown pigment. 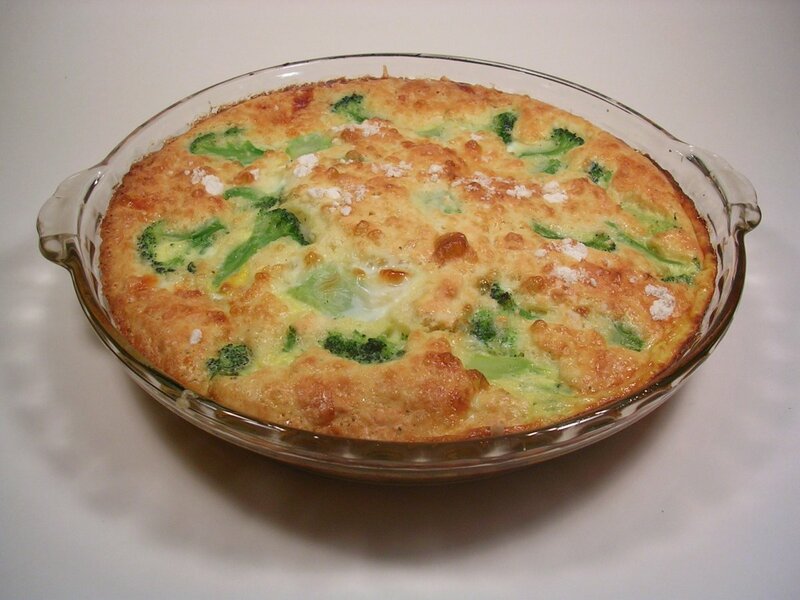 Green eggs are the result of crossing brown-laying breeds with blue-laying breeds. The brown pigment overlays the blue, creating an olive green coloring. 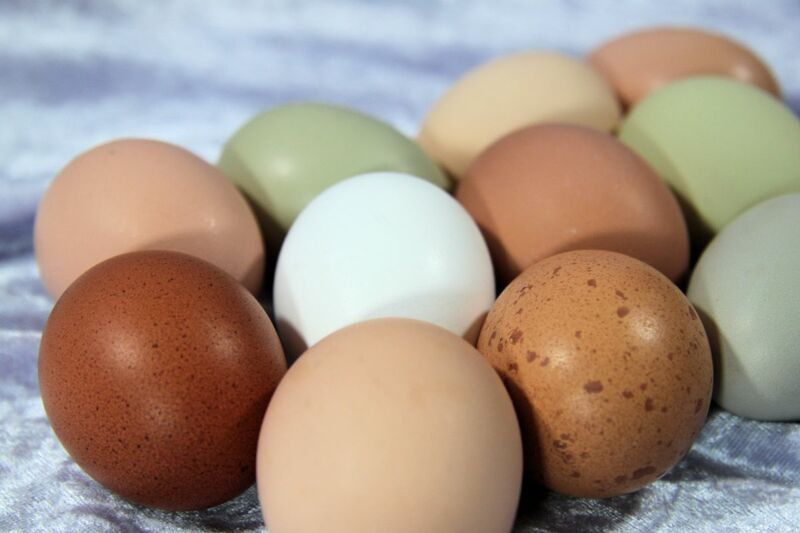 White eggs, of course, are eggs with neither blue nor brown pigment, though some white egg layers may occasionally lay "tinted" eggs, which have an off-white appearance. It is unclear whether this is a hint of brown pigmentation or the inherent color of the eggshell itself. A hen will lay her richest-colored eggs at the beginning of the laying cycle, with the pigment gradually depleting--and shell color lightening--as the cycle progresses. After a break from laying eggs, such as molt or a winter hiatus, the pigment is replenished, and the eggs are once more richly-colored when she begins to lay again. However, no matter what happens, a brown-laying hen will never magically switch to blue, nor a white layer to brown. Whatever a hen is genetically hardwired to lay, that will be what she lays for the entirety of her life. All Natural: This phrase means nothing as far as eggs go. The USDA stipulates that "Natural" may apply to products that have had nothing added to them, which is the case for all eggs. Farm Fresh: Like the phrase "all natural", "farm fresh" doesn't carry any actual meaning pertaining to the quality of the eggs. Vegetarian Fed/Grain Fed: Chickens are not by nature vegetarians, so saying that the chickens are "vegetarian" fed or "grain" fed just means they have not been fed animal byproducts. Hormone Free: Look closely at this label, and you will likely see tiny print explaining that hormones can't legally be used in poultry production in the USA. As such, it's rather redundant to say that the eggs are "hormone free". Cage Free: Cage free means that the hens producing the eggs are not confined to battery cages. They are still confined to coops or barns with no access to the outdoors or sunlight, but they can stretch and move around freely compared to hens in battery cages. Antibiotic-Free: In the past, antibiotics have been in prevalent use on egg production farms, mixed with their feed to prevent outbreaks in overcrowded coops. In 2017, the use of water-soluble antibiotics without a vet's prescription was banned, putting an end to the sub-therapeutic use of antibiotics in poultry production. So, to say that eggs are antibiotic free is now essentially saying they are complying with the current law. Pastured: Not to be confused with "pasteurized", "pastured" or "pasture-raised" means the chickens are allowed to forage on actual grass. 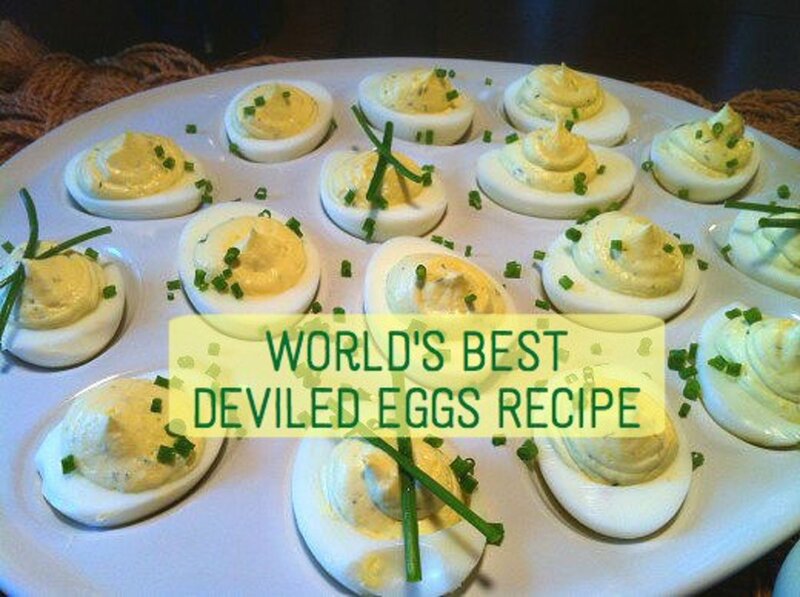 These are true "free-range" eggs, and will produce eggs of superior quality to their cooped counterparts. Because of the risk and reduced efficiency of such operations, the cost will be substantially higher, but the nutritional content of the eggs will more than compensate since pastured eggs contain more nutrients and lower bad fats and cholesterol than those of caged hens. Zeeshan, that may be the case in Pakistan. In the USA, white and brown eggs are both produced in factory farms. 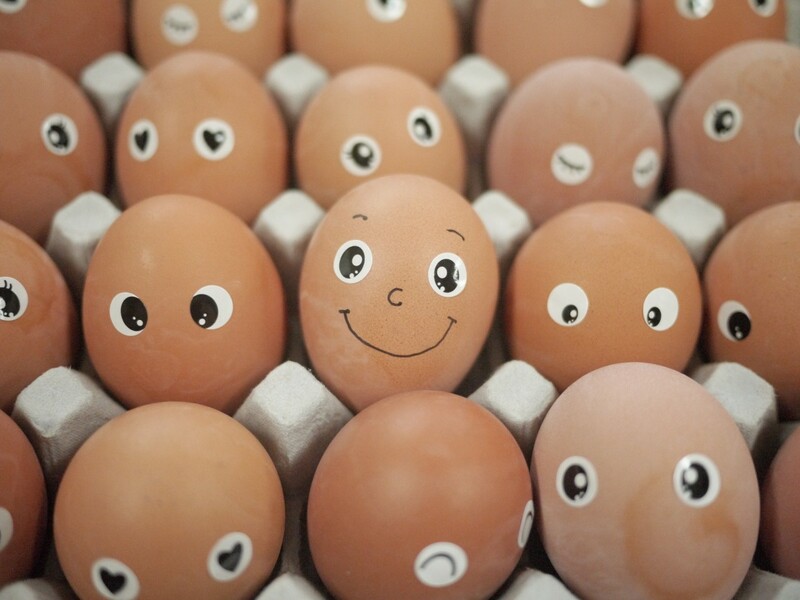 Any eggs you buy in a grocery store here are probably from a factory farm operation. I raise dozens of breeds in my flock, and get everything from white to dark-chocolate brown eggs, blue, green, and everything in between. My white eggs are actually the best eggs because my leghorn hens LOVE to forage! hey mate.. brown eggs are produce in home and it is more nutritious than white Egg. the taste is also different. white egg come from factory process while brown egg are from those hens which are kept to be as pets.